Toronto, Canada, 2017-Aug-09 — /Travel PR News/ — Landing Jeju Development Co., Ltd. (LJDC), a wholly owned subsidiary of Landing International Development Limited (HKSE 582) and the developer and operator of Jeju Shinhwa World, and Four Seasons Hotels and Resorts, the world’s leading luxury hospitality company, today (August 4, 2017) jointly announced plans to launch a luxury Four Seasons resort in the heart of Jeju Shinhwa World. 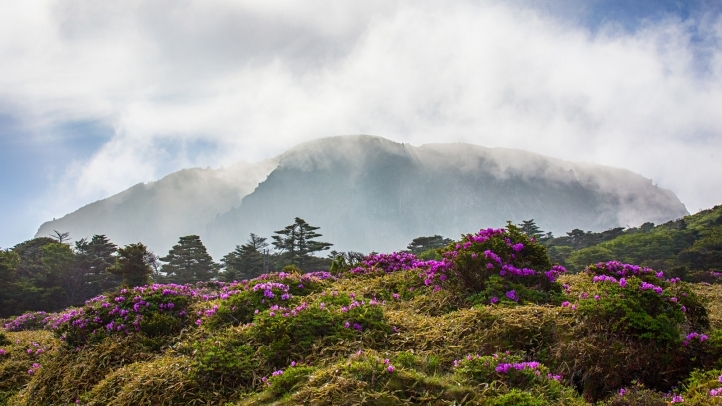 Conveniently located just one hour from Seoul by plane, Jeju Island is home to some of Korea’s most spectacular natural wonders, including multiple UNESCO sites, an expansive network of underground lava caves, thundering waterfalls, lush coastal hiking trails and the highest mountain peak in all of Korea. A year-round destination for travel with friends and family, Jeju Island also hosts the world-class Jeju Food & Wine Festival and offers a colourful array of local cuisine. The first of its kind on the island, Jeju Shinhwa World will be one of Korea’s most dynamic resort developments, encompassing high-end hotel facilities including the world-class Four Seasons resort, upscale resort condominiums and villas, and retail space for international and K-fashion brands. The integrated development will also feature an array of entertainment options including a waterpark, theme park, international-style casino and K-pop entertainment centre. Four Seasons Resort Jeju Island at Jeju Shinhwa World, South Korea will include approximately 240 lavishly furnished guest rooms, suites and exclusive villas, with a variety of tailor-made restaurants and bars from which to choose. The Resort will be equipped with state-of-the-art facilities for intimate weddings and prestigious corporate events, as well as a luxurious spa designed in the style of a traditional Korean tea house. Jeju Shinhwa World is opening in phases in late 2017. It will be one of Korea’s most exciting and prestigious world-class integrated leisure and entertainment resorts. Jeju Shinhwa World will be Jeju’s first premium integrated resort, spanning an area of approximately 2.5 million square metres (26.9 million square feet). Opening progressively from the beginning of 2017, Jeju Shinhwa World will offer world-class hospitality, leisure, entertainment and gaming facilities including a theme park offering many thrill rides and attractions in different zones themed after the world’s myths and legends, an adventure water park and a destination spa, as well as Jeju’s first retail and food and beverage complex. The project will incorporate a series of premium hotels offering more than 2,000 rooms, ranging from family-oriented guest rooms to ultra-luxurious exclusive villas. Full meeting and conference facilities suitable for regional and international MICE (meetings, incentives, conventions and events) are also readily available to meet the most demanding business needs. Landing International is a limited company listed on the Main Board of Hong Kong Stock Exchange and also a constituent stock of the Hang Seng Family of Indexes. The Company and subsidiaries are principally engaged in the development operation of integrated leisure and entertainment resorts, gaming clubs, entertainment facilities and property development under its own “Landing 藍鼎” and “Les Ambassadeurs or Les A 利陞” brand names. Landing International, through its subsidiary Landing Jeju Development Co., Ltd, is currently developing “Jeju Shinhwa World 濟州神話世界”, a 2.5 million square metre (26.9 million square foot) integrated leisure and entertainment destination resort in Jeju, which will be Jeju’s first premium integrated resort. It will offer its visitors many world-class hospitality, leisure, entertainment and gaming facilities including a theme park offering many thrill and adventure rides, an adventure water park, more than 2,000 premium hotel rooms, luxury resort condominium villas, leisure and entertainment amenities, as well as Jeju’s largest retail and food beverage complex. Landing International also owns Les Ambassadeurs Club, a leading premium gaming club in London, United Kingdom with 45 gaming tables offering a variety of casino games including American roulette, baccarat, blackjack and three card poker. It also has several featured private VIP rooms and the largest outdoor gambling zone in London. This entry was posted in Business, Hotels, Resorts, Travel, Travel Management, Travelers and tagged Four Seasons Resort, J. Allen Smith, Jeju Island, Jeju Shinhwa World, South Korea, Yang Zhihui. Bookmark the permalink.